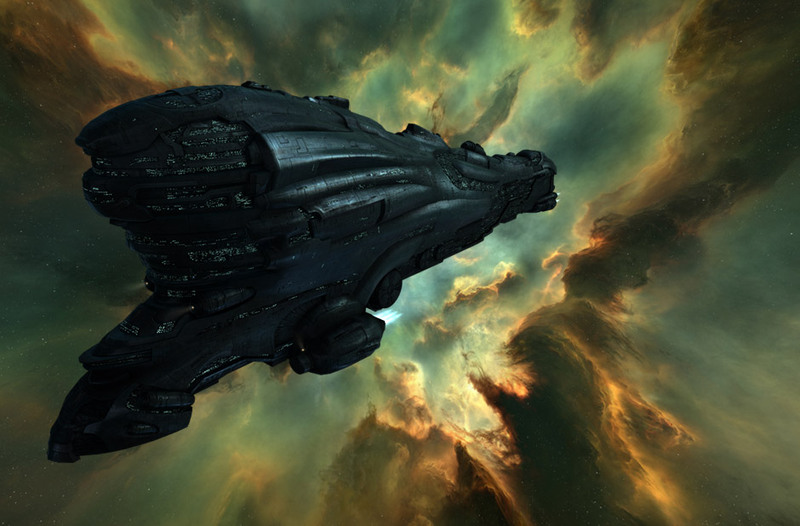 At the dawn of EVE Online in 2003 (YC 105), a chronicle, The Prophecy of Macaper, was published that would underpin the world of New Eden and be called upon as evidence in numerous storyline speculations. The chronicle highlights the seemingly prophetic work by a Gallentean astrologer from a century before the launch of the capsuleer era – a book entitled The Seven Events of the Apocalypse. The chronicle, unfortunately, only offers tiny snippets from the book – only six even have quoted words specified. Our insights into the book have been expanded only twice. The first expansion came with the release of Red Moon Rising in December 2005 (YC 107) in the description of the Erebus titan (see below). For a long time, only player speculation filled the void. 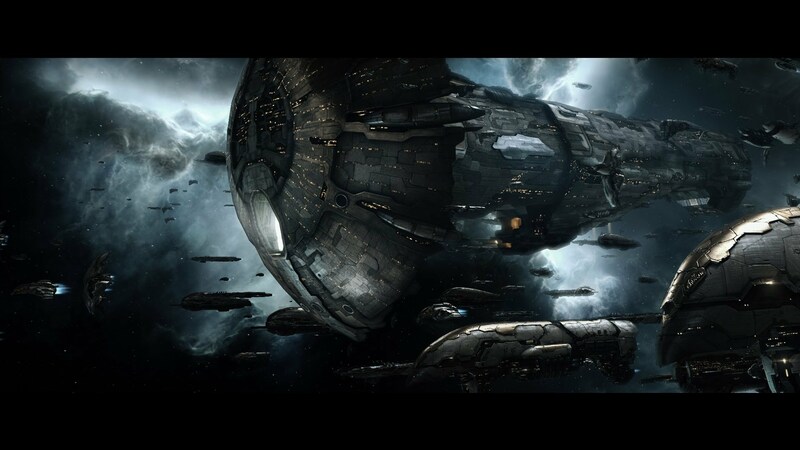 Then, the Erebus passage was paraphrased for the voice-over for the excellent 2014 Fanfest trailer The Prophecy, signalling that after nine years, CCP would potentially revive Macaper’s work within the lore more directly. The second expansion of the text would come shortly thereafter in December 2014 (YC 116, shown at the start of this post) on the new EVE Online Now site. Much like the writings of Nostradamus in our own world, this book of “prophecy” was specific enough that it could be tied to definitive events yet vague enough that it seemed to simultaneously apply to everything. There are also some clear cross-references to the Seven Trumpets in the biblical Revelation of St. John; unsurprising given the clear Amarrian / biblical references of the early EVE releases. New Eden’s equivalent to Nostradamus is a Gallentean astrologer named Damella Macaper. Unlike Nostradamus, who was famous with the movers and shakers of his time, Macaper was “regarded as a hack and a nutcase by her contemporaries”. Her work was forgotten by all but a handful of astrology scholars after her death. However, a century later, as the capsuleer era dawned, her writings suddenly were remembered and rapidly rose to prominence. 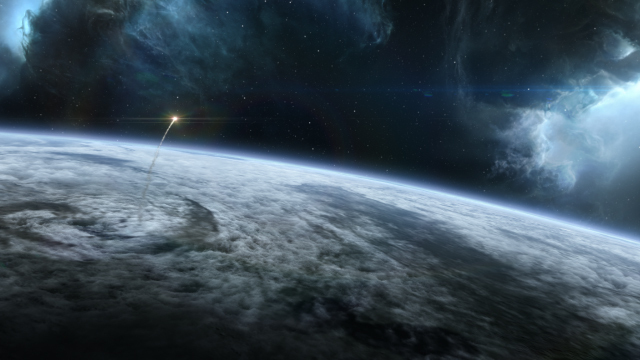 Within the first year of EVE Online, three natural occurrences that dovetailed with the prophecy happened in relatively rapid succession, fueling Macaper’s rise to prominence. The first event took place in an unnamed Caldari system, a collision of comets. While remarkable, it caused little damage, fitting the description of the first event, “the cosmetic kiss of the comets.” The exact text of the second event is not recorded, but it is related to weeks of torrential rain and flooding. This event occurred on the planet Fricoure in the Gallente Federation. At this point, the prophecies began to get a bit more attention. The third event, a “roaring stone that silences the world,” occurred on the Amarrian planet Rumida when a massive asteroid impact caused extensive destruction and loss of life, but more importantly deafened thousands of the planet’s inhabitants with the sound shockwave of its passage and impact. With these three events, Macaper was launched into the limelight. Some would take this to mean that only natural occurrences could be legitimate prophecy events, but two years later more evidence came to light that suggested this might not be the case. “From the formless void’s gaping maw, there springs an entity. Not an entity such as any you can conceive of, nor I; an entity more primordial than the elements themselves, yet constantly coming into existence even as it is destroyed. It is the Child of Chaos, the Pathway to the Next. This passage caused a lot of interest and speculation, but for nine years, from 2005-2014, it appeared to be the last update we would have to work with. The specific passage cited from this entry is “the appetite of nothing expands over the world”, but in its wider context it shows a bigger picture. 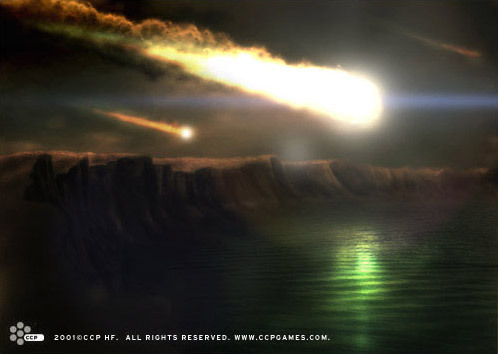 During those years, that passage was applied to everything from the Protein Delicacies scandal to Jamyl Sarum and The Other to the Seyllin Incident and the birth of wormholes, but CCP never explicitly tied it to anything in the game or in lore to substantiate whether this prophecy was fulfilled by any known event. Finally in The Prophecy trailer, some hints were revealed. The trailer quoted these words, highlighting the Stain region nebula and showing the player-built stargates of CCP’s long-term future vision. Somehow, the storyline behind the new gates appeared likely to be directly tied to the Prophecy of Macaper. Perhaps the most controversial prophecy is the fifth event: “the little brother makes the final sorrowful steps home; he is not welcome.” The controversy comes in that there are many entities who could be considered “little brother”, and many potential locations for “home”. Theories have come and gone over the last decade. One of the first theories was that this would be the return of Khanid II, the first Amarrian to refuse killing himself after a succession trial. Probably the most common belief was that this was a description of the modern population of New Eden and the capsuleers returning to Earth some day in the future (which also dovetails nicely with the seventh event). 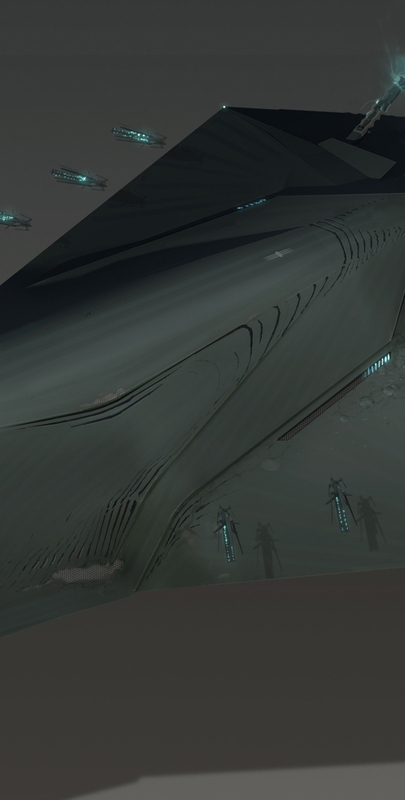 Finally during the run-up to the Incursion release, it was believed by some that this might refer to Sansha Kuvakei, returning to New Eden from exile in Stain to wreak havoc upon the empires. But more recently, as the Sleeper lore has begun to resurface, and particularly since the Caroline’s Star event, some (including me) have come to believe that Little Brother might be one of the Jovian sub-races or bloodlines. CCP then fed fuel to this controversy by doing something they had not done in 9 years – they explicitly linked the Prophecy of Macaper to a game event or item. Last week, CCP teased images of portions of the new Drifter battleship, saving the most interesting visual for last, which they posted on the EVE Online Now site … with the Little Brother quote attached. While not confirmed, definitive proof, it is the closest CCP has ever come to directly stating that any person or group (in this case the Drifters, whoever they are) is in fact Little Brother. If so, that also has a direct effect on the rest of the Prophecy, because it means that “the appetite of nothing” has already happened, and the Entity is already here. Nothing has been said by CCP about these two items, there is only speculation. To be sure, lore in the coming months will be very interesting if it continues to flesh out the true nature of the fourth and fifth events. While the first three events are known to have happened and the fourth and fifth are expected to be “in progress”, it is generally agreed that the sixth and seventh have not yet happened. The sixth is probably the most cryptic: “what was many now becomes one when one becomes four.” This is one of those that is all but unknowable until it actually happens and people can say, “Ah, of course!” after the fact. Speculation is generally around the empires, since there are four of them and four is one of the numbers, but the argument is also pretty weak in many points. A handful of people have suggested that many-1-4 is notably similar to 5-1-4 (from Dust514 and the 514 chronicle) and that could have a direct bearing, especially since the fifth event now appears tied to the Sleepers or Jove. Solid proof of anything remains elusive. Ironically, the final event, “return of the dark light from the heart of the mother,” is the one with the least disagreement around it. The heart of the mother is almost universally considered likely to be a reconnection of residents of New Eden to space near Earth. This is fed heavily as well by the Origins trailer being created, suggesting a resurgence of the importance of our long-lost home. Returning to Sol also seems so much more plausible when you hear the vision of player built stargates to another type of space and see such a gate fearfully referred to in the Prophecy trailer. As with Revelation and the works of Nostradamus, much of the fun of prophecy is in trying to imagine hypothetical events that would match those texts. If you want my personal wild speculation on the prophecy, stop by my blog. Put on your tinfoil hat and join the fun.